VH-INT. 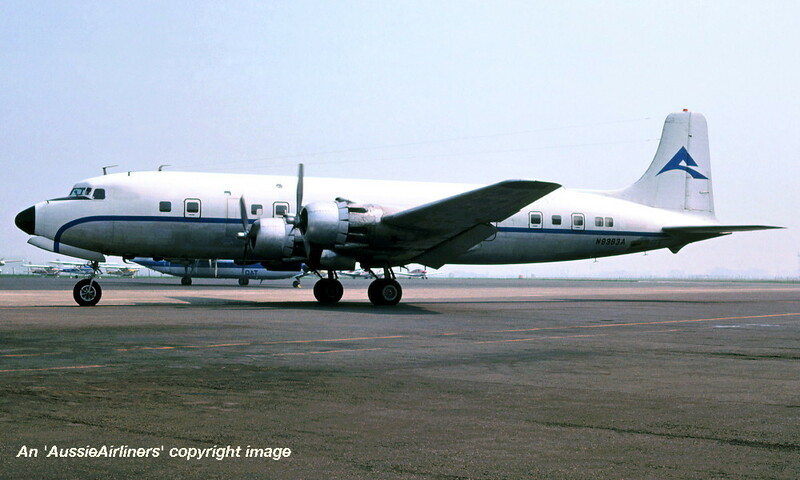 Douglas DC-6B. c/n 45077-728. 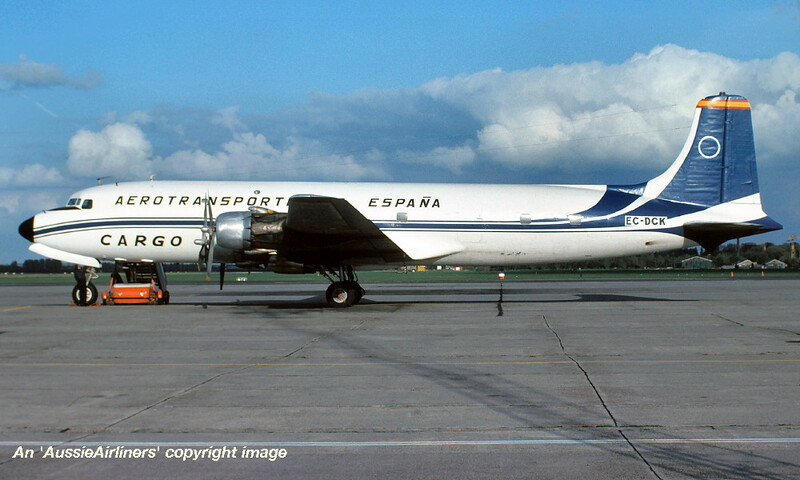 Entered onto the Spanish Aircraft Register as EC-DCK - ? 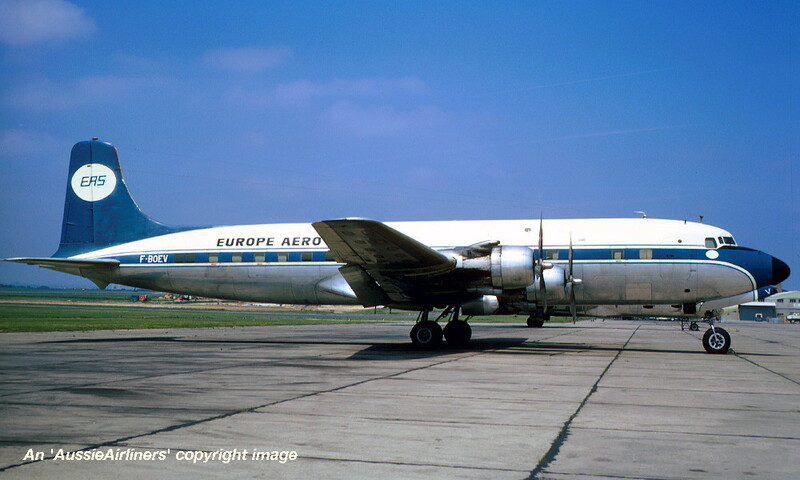 Entered onto the Zaire Aircraft Register as 9Q-CCM - ? Withdrawn from use - ? VH-INT. 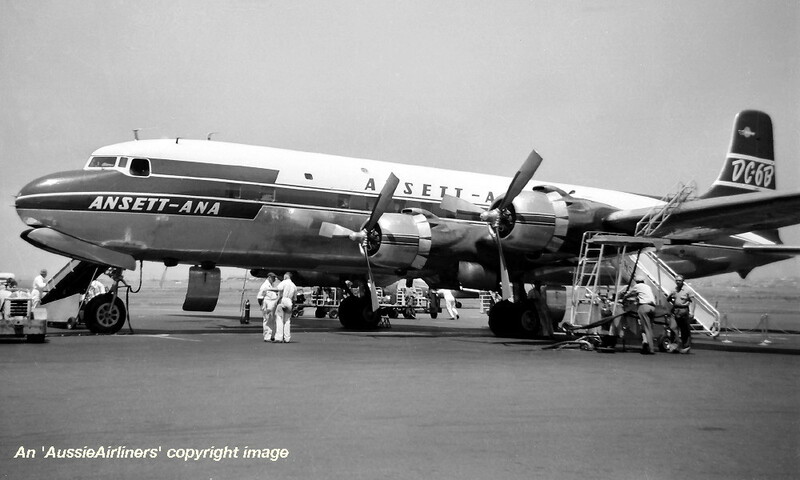 Ansett-ANA - in the basic A.N.A. 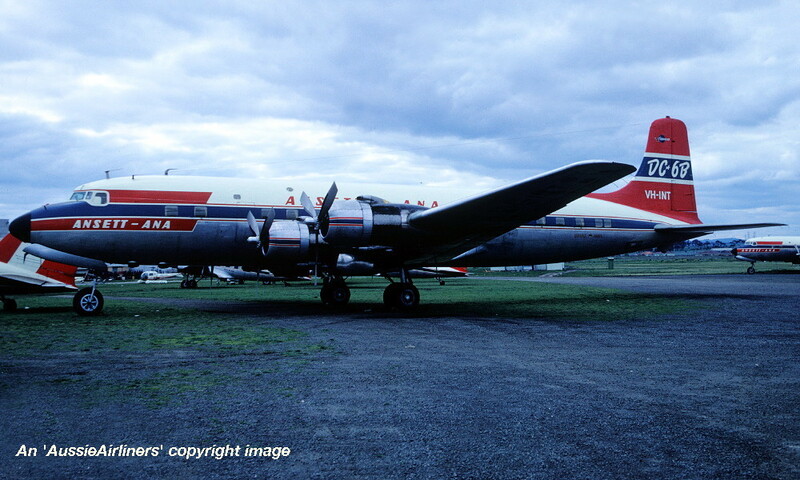 livery at Melbourne Essendon Airport, date unknown. VH-INT. 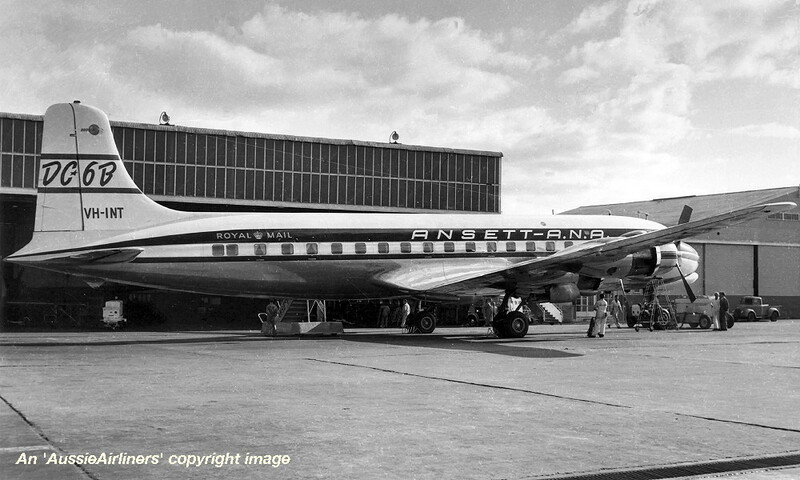 Ansett-ANA - 'Olympiana' in the basic A.N.A. 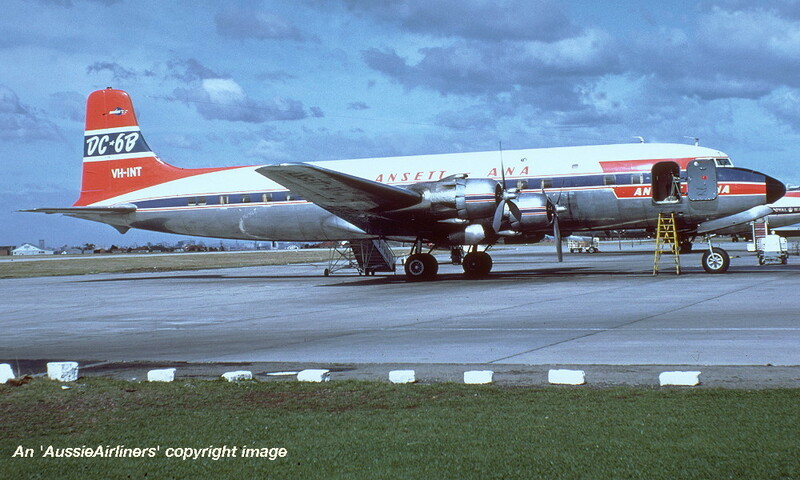 livery at Cairns Airport, date unknown. VH-INT. 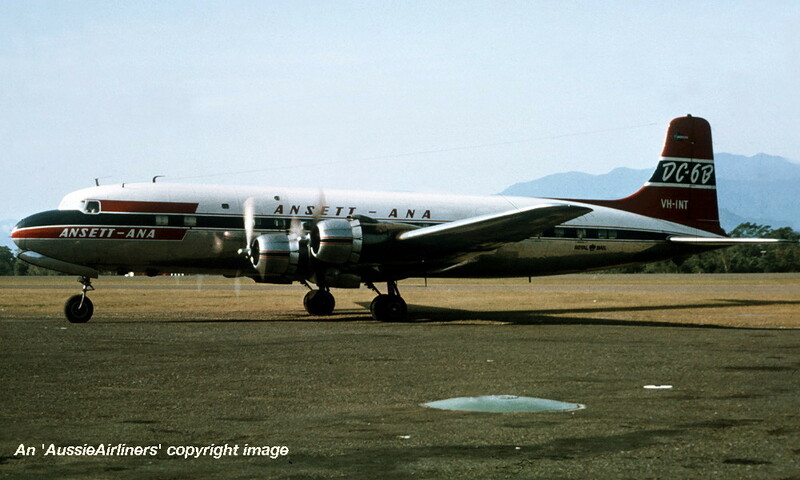 Ansett-ANA - in the standard livery at Lae Airport, March 1964. VH-INT. 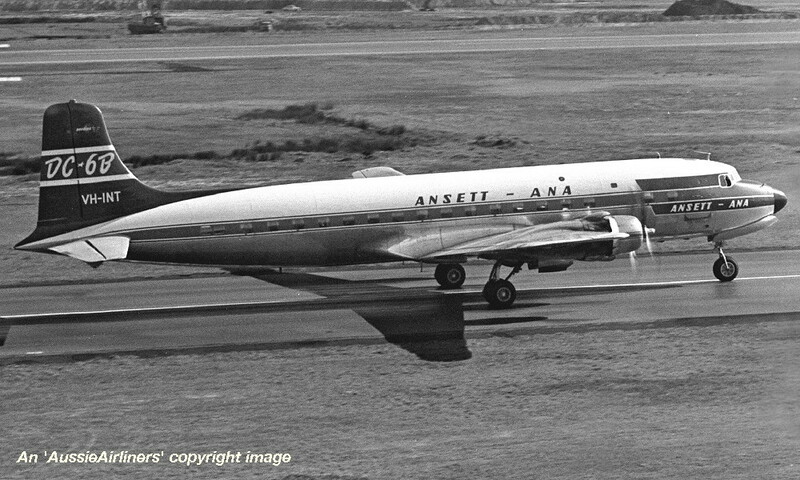 Ansett-ANA - in the standard livery at Sydney Kingsford Smith Airport, date unknown. VH-INT. 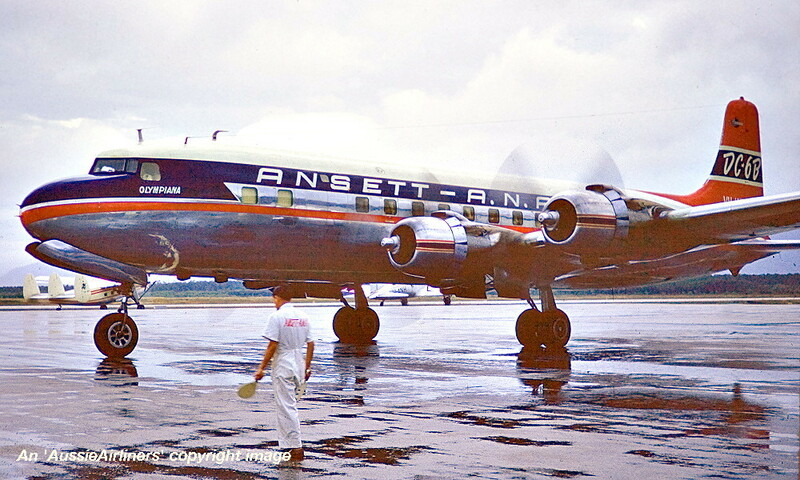 Ansett-ANA - in the standard livery at Melbourne Essendon Airport, date unknown. VH-INT. 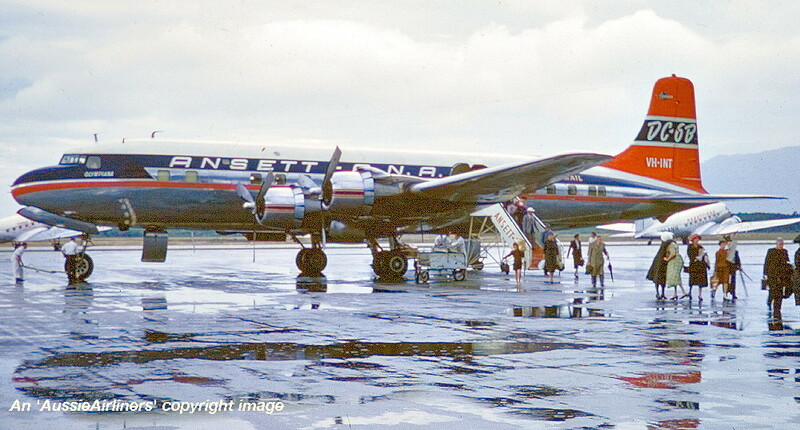 Ansett-ANA - in the standard livery at Hobart Western Junction Airport, date unknown. 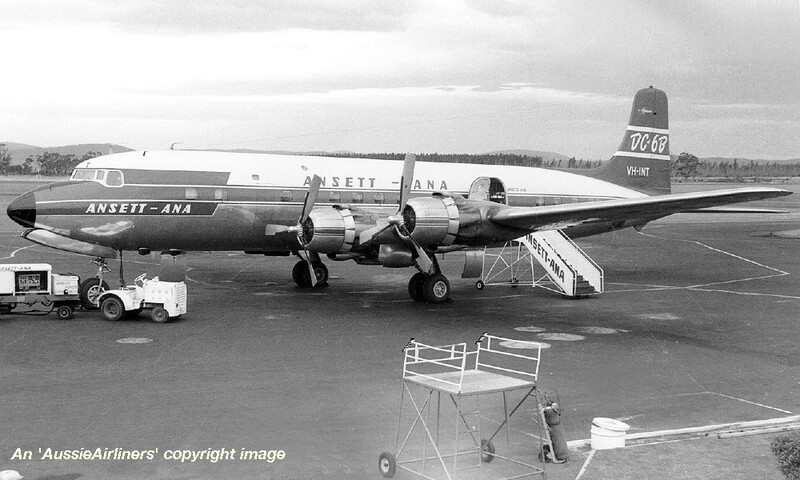 VH-INT. 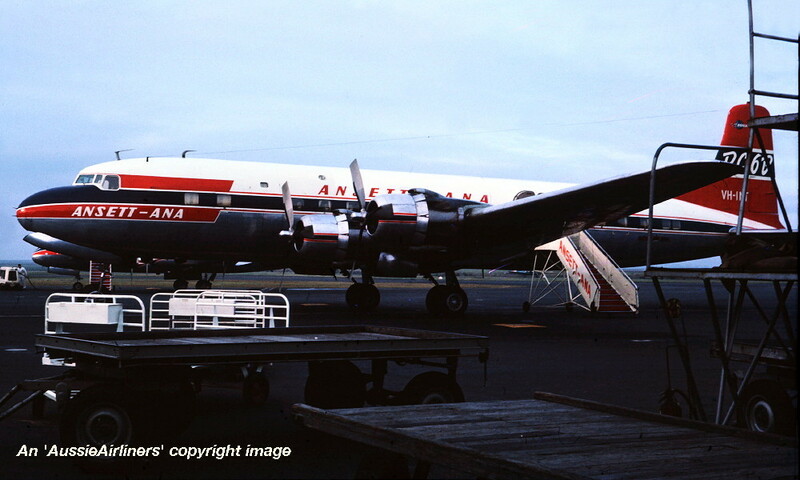 Ansett-ANA - in the standard livery at Sydney Kingsford Smith Airport, January 1965. F-BOEV. 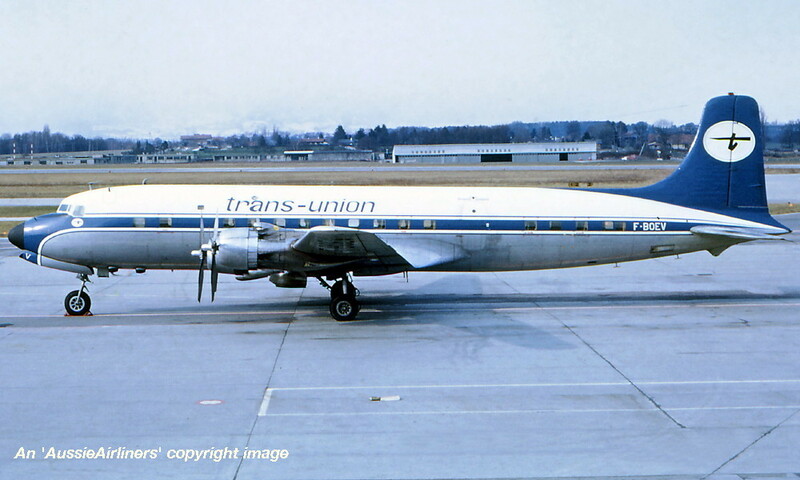 Trans Union - in the standard livery at Paris Le Bourget Airport, date unknown. F-BOEV. 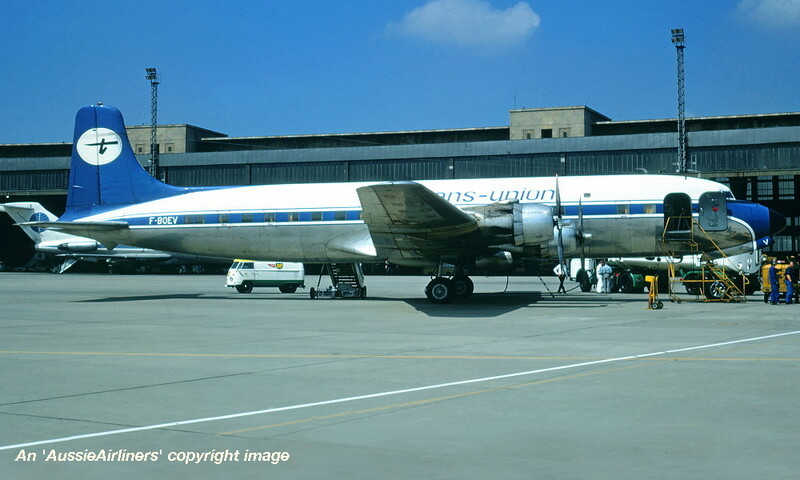 Trans Union - in the standard livery at Paris Le Bourget Airport, July 10, 1970. F-BOEV. 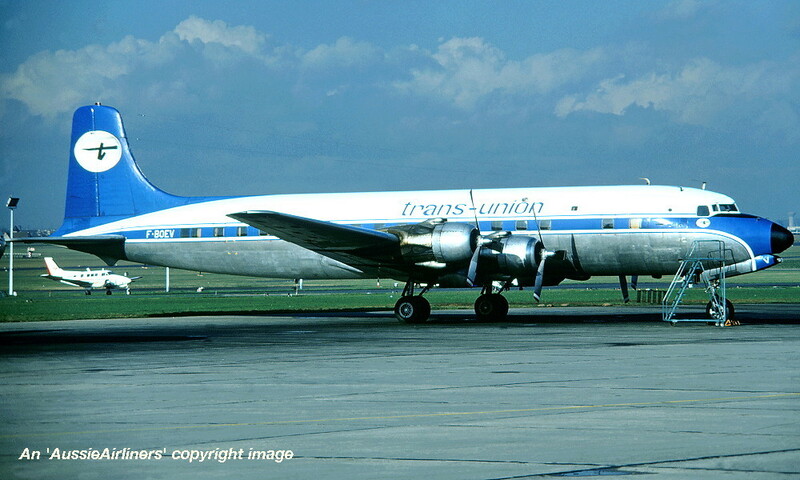 Trans Union - in the standard livery at Paris Le Bourget Airport, July 1970. F-BOEV. 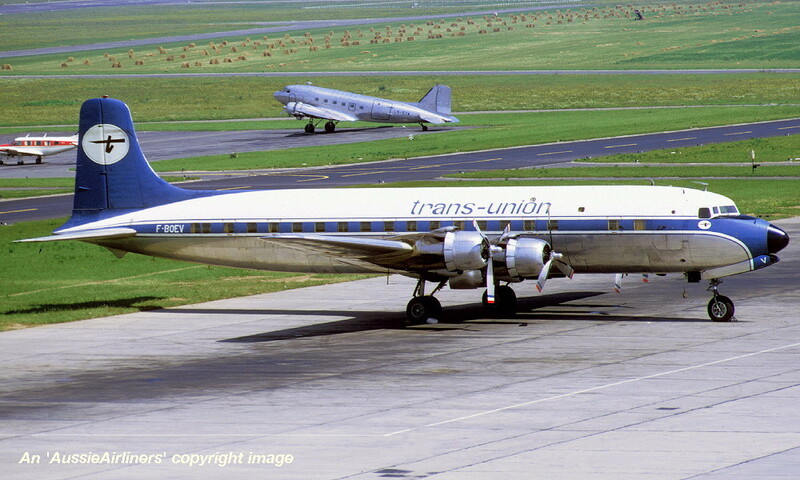 Trans Union - in the standard livery at Berlin Templehof Airport, August 05, 1970. F-BOEV. 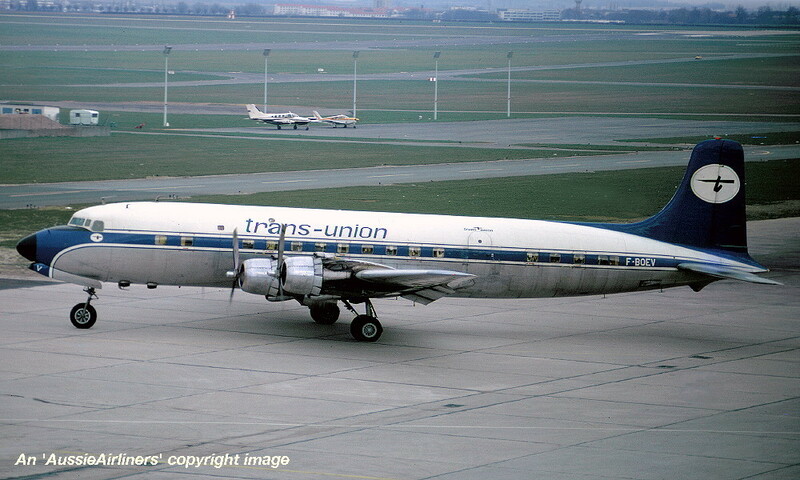 Trans Union - in the standard livery at Paris Le Bourget Airport, November 13, 1970. F-BOEV. 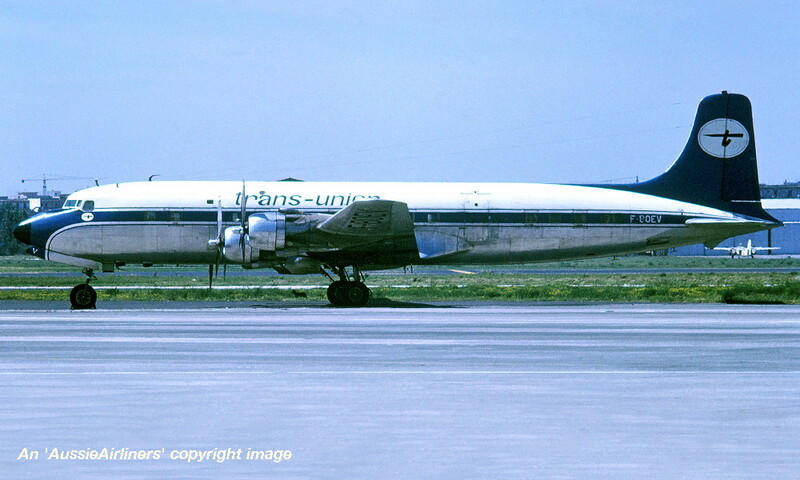 Trans Union - in the standard livery at an unknown airport, April 1971. F-BOEV. 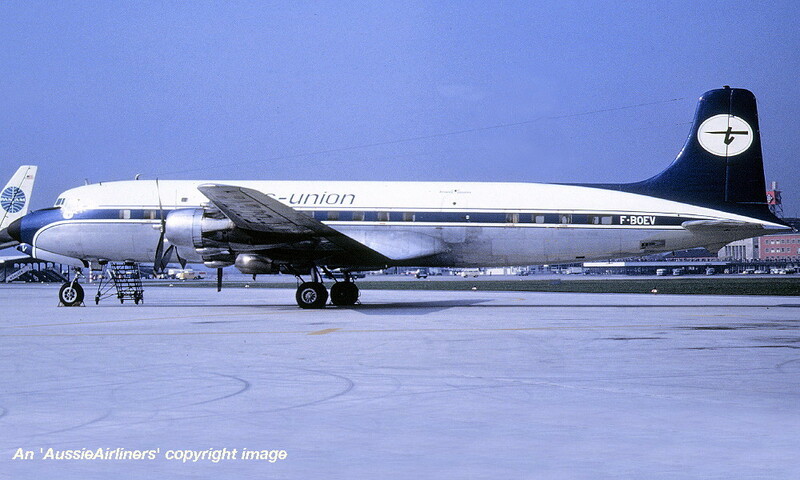 Europe Aero Service - in the basic Trans Union livery at Paris Le Bourget Airport, date unknown. F-BOEV. 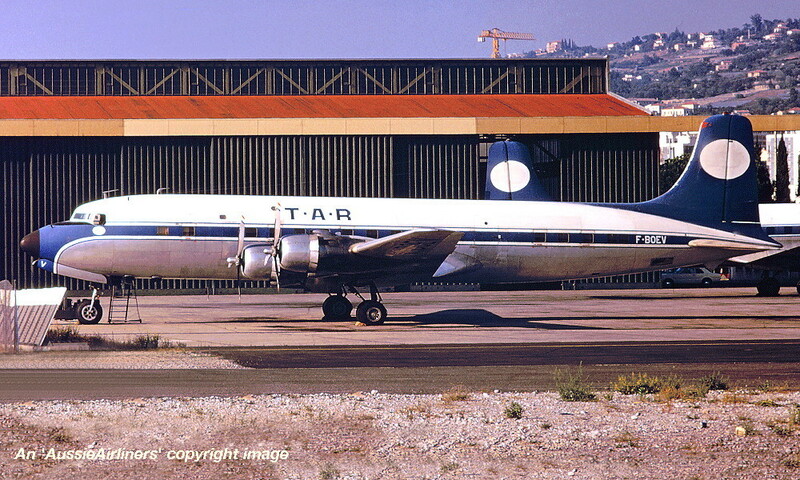 TAR Transport Aeriens Reunis - in the basic Trans Union livery at an unknown airport, date unknown. OO-VFG. 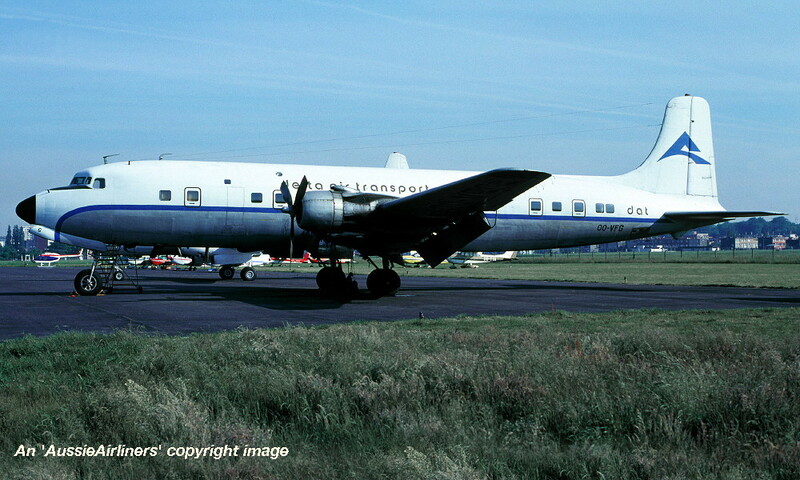 Delta Air Transport - in the original livery at Ostend Airport, October 1975. OO-VFG. 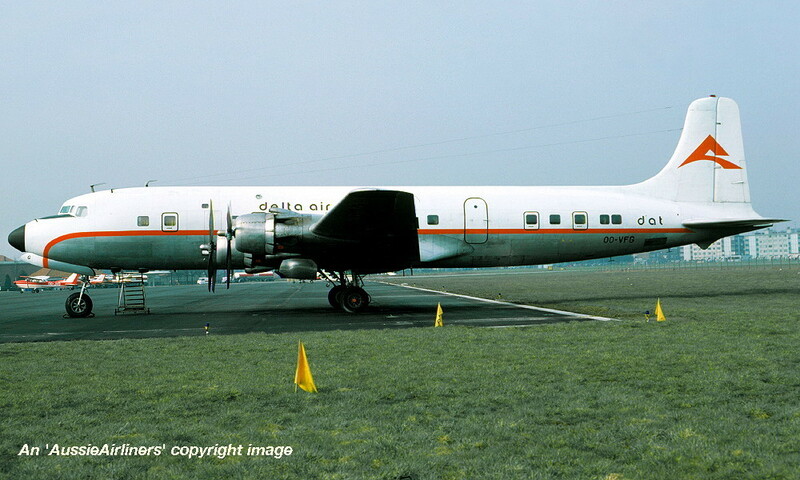 Delta Air Transport - in the revised livery at Ostend Airport, May 1976. OO-VFG. 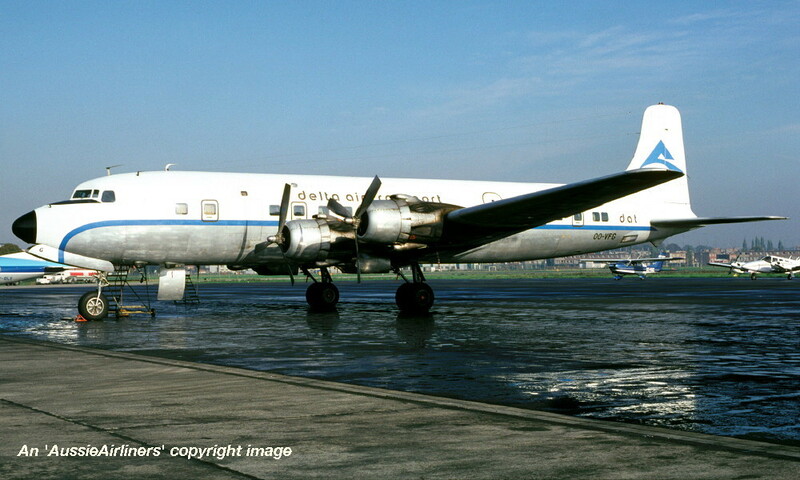 Delta Air Transport - in the revised livery at Antwerp Airport, October 1976. N9383A. 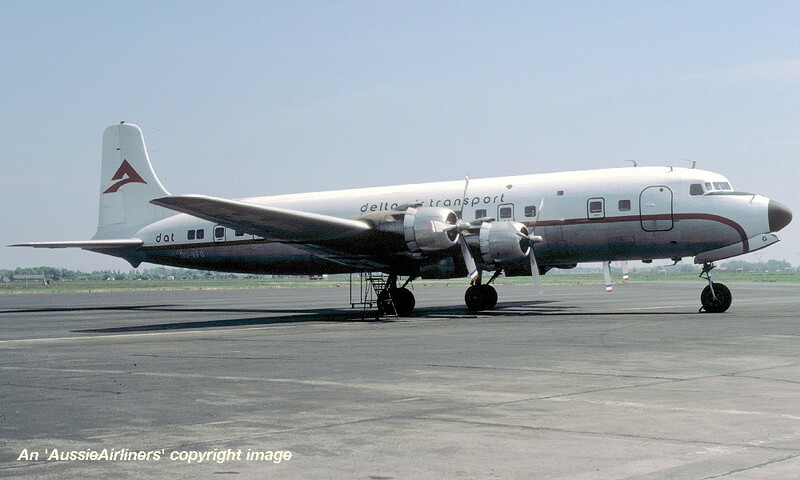 Delta Air Transport - in the revised livery at Antwerp Airport, May 1978. EC-DCK. 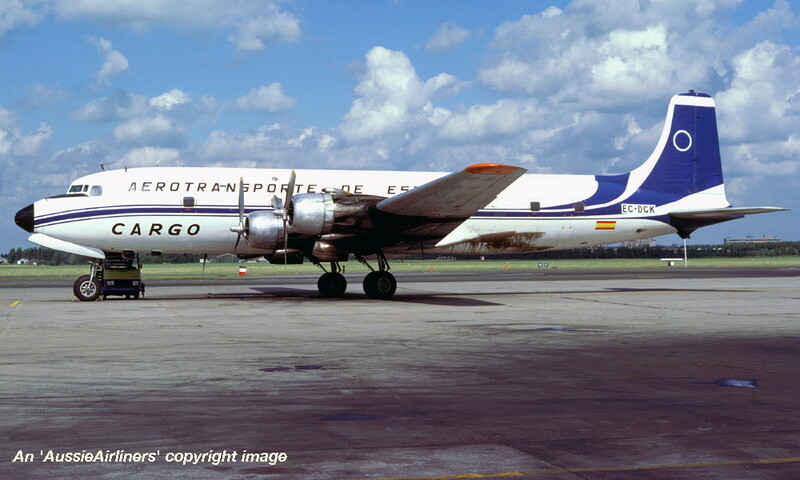 Aerotransporte de Espana Cargo - in the standard livery at an unknown airport, July 1979. 9Q-CCM. 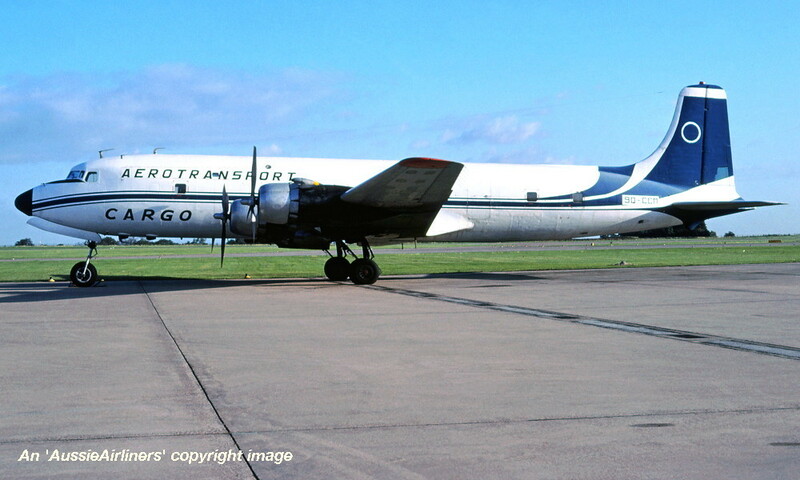 Aerotransport Cargo - in the standard livery at an unknown airport, September 1980.